Skoda Fabia cars for sale have always been a draw at the showroom. This model has been a popular offering in the Skoda line up for years, so it stands to reason that the 2018 model is highly anticipated. So, as the launch date approaches, here are five things you can expect from this new model. The current Skoda Fabia is offered with a turbocharged, four cylinder 1.2 litre petrol unit. This has been swapped out for a new turbocharged, 1.0 litre three pot. The entry level variant offers 70 kW of power and has been appropriately dubbed the 70TSI. There is also a higher output variant that offers 81 kW of power. The lower powered model is offered with a five speed manual, while the higher power variant is exclusively offered with a DSG automatic. As you would expect from Skoda, the new Fabia is offered with an impressive spec list. Some of the highlights include front assist with city speed AEB (autonomous emergency braking), touchscreen infotainment compatible with Android Auto and Apple CarPlay, multi collision brake assist and a rearview camera. This suggests that safety continues to be a priority for the Skoda Fabia and it is anticipated that this level of equipment will ensure that the model will continue to make a fantastic family vehicle. As you would expect from Skoda, the cabin of the new Skoda Fabia is filled with clever touches that enhance the driver and passenger experience. From the new infotainment system to innovative storage solutions, the Fabia cabin feels both comfortable and practical. This ensures that you can enjoy longer journeys even if you have a full complement of passengers. 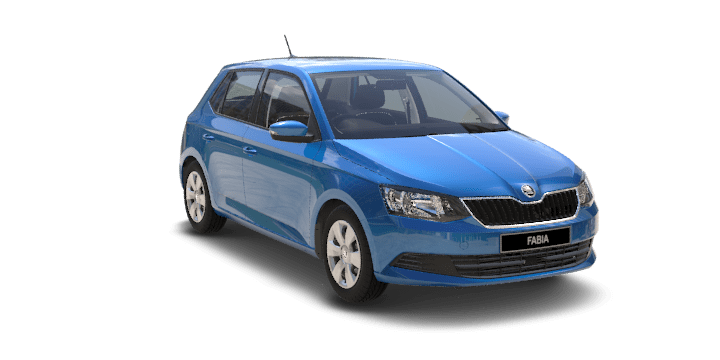 Despite being offered with improved engine options and an impressive equipment list, the Skoda Fabia price has not skyrocketed. The new pricing structure is very comparable to the outgoing model, which means that drivers can enjoy a superior vehicle without it breaking the bank. The new Skoda Fabia range offers plenty of choice for drivers. The entry level 70 TSI manual is joined by an 81 TSI DSG and top of the range Monte Carlo DSG. The model is also available in both a hatch and a wagon. This presents an excellent range of options, so you can find the perfect Fabia for your specific requirements. If you are interested in the new Skoda Fabia, Perth drivers should speak to us. At Perth City Skoda, we have a range of Skoda Fabia cars for sale including the new Skoda Fabia. Our sales team members are also on hand to answer any queries you may have about the Skoda Fabia, price deals, and special offers.